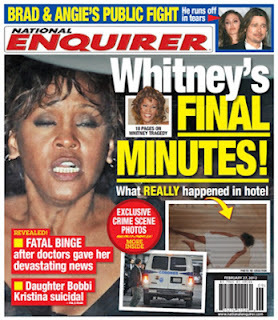 The National Enquirer has placed a photo of late singer Whitney Houston on the cover of their latest issue, obviously showing the poorest of taste in the wake of the tragedy that surrounded her life. 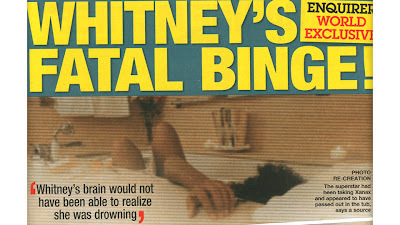 Whitney passed away at the age of 48 on February 11, 2012, after being found dead in a bathtub at the Beverly Hilton Hotel. She was said to have consumed a deadly mixture of Xanax, Valium and alcohol that was found in her system which could’ve quite possibly caused her death. The image was said to have been taken at the Whigham Funeral Home in Newark, New Jersey. She was wearing her favorite purple dress, $500,000 worth of jewelry and golden slippers, according to the tabloid’s report. Why would they publish such a reprehensible thing? Is this just a ploy to sell millions of copies of their magazine? 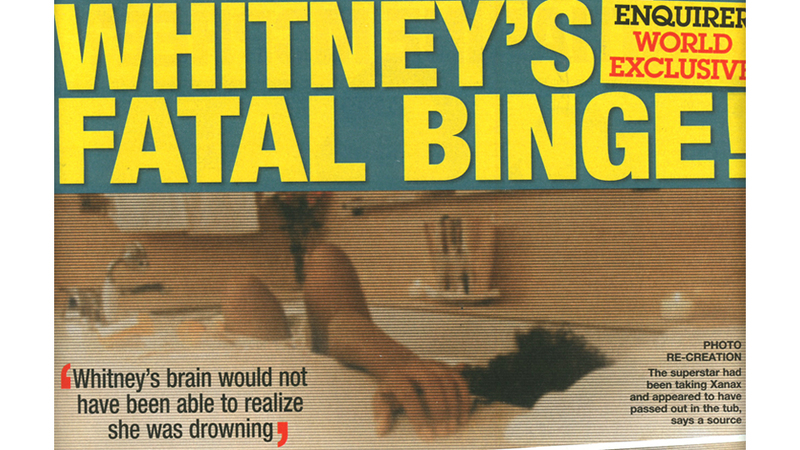 We have posted the photo above, but have censored Whitney’s face, out of the respect to her family and loved ones. This is such a shame that the tabloid media has to sink to such levels in order to stay on top of the game. Shame on you, National Enquirer.